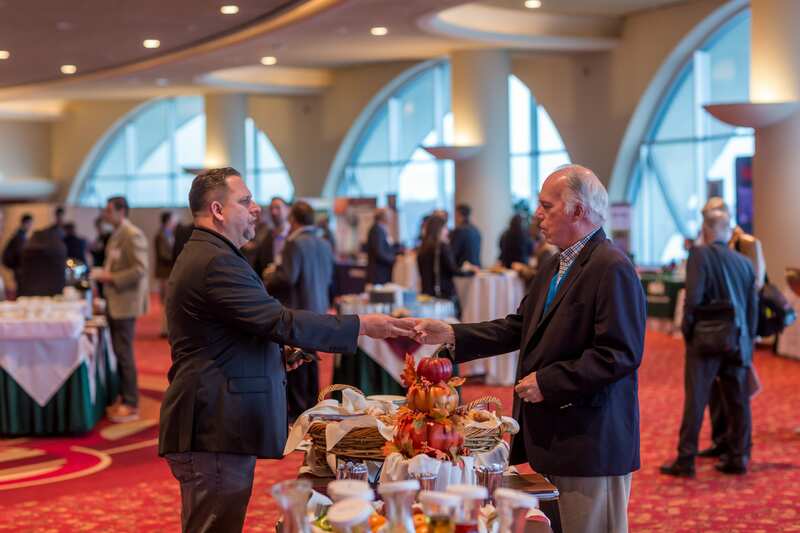 The Wisconsin Early Stage Symposium was held Nov. 7-8, 2018, at the Monona Terrace Community and Convention Center in Madison. About 525 people attended the conference from across the state; another 90 attended the Wisconsin WOMEN event the evening of Nov. 6 There were more opportunities than ever before for companies to interact with angel and venture investors from Wisconsin and beyond. In addition to the Tech Council Investor Network’s presentation tracks on Nov. 7, we offered the ever-popular Elevator Pitch Olympics and “Investor Intros” — allowing entrepreneurs to introduce themselves and their ideas to investors – on Nov. 8. Congratulations to Blexx, UCHardChip and SourcingUSA on their EPO wins! The Early Stage Symposium featured informative and inspiring speakers: Kelly Fitzsimmons, serial entrepreneur, and Aaron Kennedy, founder of Noodles & Company and later the chief marketing officer for the state of Colorado. The conference featured six panel discussions on Day One, ‘Office Hours’ sessions on both days, networking and much more. Companies had opportunities to make presentations, formal and informal, and to meet with investors, entrepreneurs and business leaders. The winner of the Tech Council’s “Excellence in Entrepreneurial Education” award was Terry Sivesind of MERLIN Mentors, and the latest inductee into our “Investor Hall of Fame” was John Neis of Venture Investors LLC. Many firms have cited participation in the conference as a key factor for significant business growth. Nearly 700 companies have presented during this fall conference in one format or another over the years, including some of the largest technology companies that call Wisconsin home. The 5th annual Wisconsin WOMEN Reception was held on Nov. 6, 2018, kicking off the full Wisconsin Early Stage Symposium, which began bright and early Nov. 7, 2018. The two-day conference wrapped mid-afternoon on Nov. 8, 2018. Thanks to Demetria Menard for speaking and offering her thoughts on tech-based careers! Our exhibit hallshowcasing more than 40 Wisconsin companies. A first-night reception, two luncheons, two breakfasts and other networking opportunities, with the Nov. 7 reception sponsored by WARF and Perkins Coie..
ESS attendees mingled over food and drink during the 2018 conference. The conference is produced by the Wisconsin Technology Council and its partners and sponsors. See below for highlights from previous editions of the #ESSWI. Watch the video below which showcases why the Early Stage Symposium is a ‘can’t miss’ event! The Wisconsin Early Stage Symposium was held Nov. 15-16, 2018 at the Monona Terrace Community & Convention Center in Madison. We had nearly 600 people attend the conference from across the state (and both coasts) and offered more opportunities than ever before for companies to interact with angel and venture investors from Wisconsin and beyond. In addition to the Tech Council Investor Network’s presentation tracks and the ever-popular Elevator Pitch Olympics, we expanded our speed-dating segment — “Investor Intros” — allowing entrepreneurs to introduce themselves and their ideas to investors. Please visit the “Presenting Companies” page to find the 2018 applications with instructions, to be released soon. As always, the Early Stage Symposium featured informative and inspiring speakers, panel discussions, networking and much more. Companies had opportunities to make presentations and met with investors, along with other entrepreneurs and business leaders. Many firms have cited participation in the conference as a key factor for significant business growth. Nearly 600 companies have presented during this fall conference in one format or another over the years, including some of the largest technology companies that call Wisconsin home. 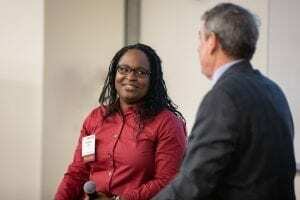 The 3rd annual Wisconsin WOMEN Reception was held on Nov. 14, 2018, kicking off the full Wisconsin Early Stage Symposium, which began Nov. 15, 2018. The two-day conference wrapped up mid-afternoon on Nov. 16, 2018. 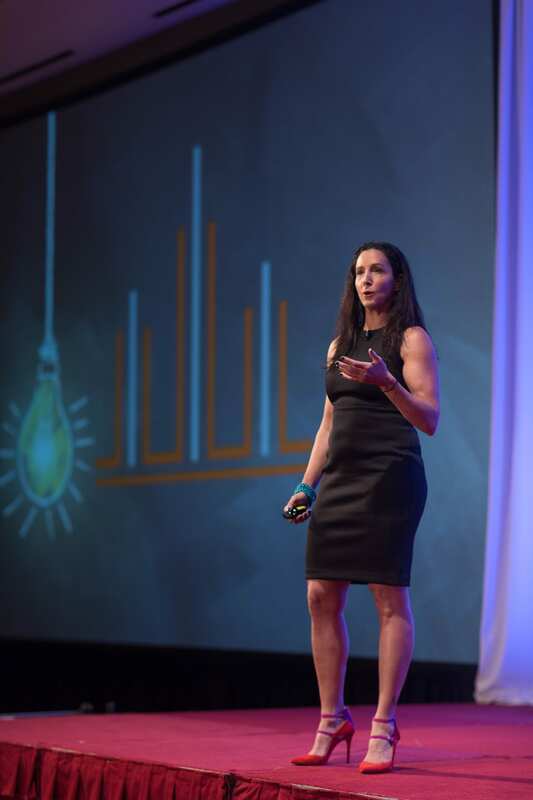 Unkeynote by Tamara Kleinberg of Launchstreet and a plenary panel featuring accomplished Midwest investors. Presentations by more than two dozen companies selected for the Tech Council Investor Networks’ track. Investors from across Wisconsin and beyond will attend. A very popular speed-dating style event called Investor Intros. The 4th annual “Excellence in Entrepreneurial Education” award luncheon. The 13th annual Elevator Pitch Olympics luncheon: 90-second presentation opportunities for selected companies. A panel of experienced investors judge the pitches and offer immediate feedback. Panel discussions + educational seminars featured leading entrepreneurs, investors and others tied to the tech sector. “Office hours,” offered the opportunity to meet with subject experts on a variety of topics in small discussion groups. SBIR/STTR luncheon to recognize grant recipients from the past year. Exhibit hall showcasing more than 40 Wisconsin companies. A first-night reception, two luncheons, two breakfasts and other networking opportunities, including an investors-only dinner. Watch the video below which showcases why the Early Stage Symposium is a can’t miss event! The 2016 Wisconsin Early Stage Symposium was held Nov 16-17 at the Monona Terrace Community & Convention Center in Madison. We had over 600 people attend the conference from across the state and beyond and offered more opportunities than ever before for companies to interact with angel and venture investors from Wisconsin and well beyond. In addition to the Tech Council Investor Network’s (Wisconsin Angel Network) presentation tracks and the ever-popular Elevator Pitch Olympics, this year’s conference debuted a speed-dating segment — “Investor Intros” — allowed entrepreneurs to introduce themselves and their ideas to investors. For next year, don’t delay, however, in applying for one or all three opportunities to make yourself known to investors! In order for our steering committee to make selections, we needed applications by 12 pm Monday, October 3rd. With questions about how to apply for 2017; please contact Bram Daelemans at bram@wisconstechnologycouncil.com. As always, the Early Stage Symposium featured plenty of informative and inspiring speakers, panel discussions, networking and much more. The 2nd annual Wisconsin WOMEN Reception was held on Nov 15, and kicked off the full Wisconsin Early Stage Symposium, which began on the morning of Nov 16th. Presentations by more than two dozen companies selected for the Wisconsin Angel Network investors’ track. Investors from across Wisconsin and beyond attended. NEW this year – a speed-dating style event called Investor Intros. The 12th annual Elevator Pitch Olympics, which provided 90-second presentation opportunities for additional companies. A panel of experienced investors judged the pitches and offer feedback. More than a dozen panel discussions + educational seminars featuring leading entrepreneurs, investors and others tied to the tech sector. “Office hours,” offering the opportunity to meet with subject experts on a variety of topics in small discussion groups. SBIR/STTR awards luncheon to recognize grant recipients from the past year. The 3rd annual “Excellence in Entrepreneurial Education” award presentation. The annual “First Look” Forum featuring selected campus-based technologies. See below for highlights from previous editions of the ESS. The 2015 Wisconsin Early Stage Symposium was held Nov. 4-5 at the Monona Terrace Community & Convention Center in Madison. More than 570 people attended the conference from across the state and beyond. More than 40 companies had an opportunity to make presentations and meet with investors, along with other entrepreneurs and business leaders. Many firms have cited participation in the conference as a key factor for significant business growth. Nearly 500 companies have presented during this fall conference in one format or another over the years, including some of the largest technology companies that call Wisconsin home. For descriptions of all presenting companies, see the Presentations tab above. Serial entrepreneur Sue Marks, the founder and chief executive officer of Cielo, spoke on the evening of Nov. 3 at the inauguralWisconsin WOMEN Reception in Madison, as well as kicked off the full Wisconsin Early Stage Symposium the following morning. Mike Splinter, former CEO and chairman of Applied Materials, addressed attendees during the annual SBIR/STTR Awards Luncheon on Nov. 4. Splinter currently serves as general partner of WISC Partners, a strategic operating capital fund focused on building wealth and entrepreneurship in Wisconsin. Zach Halmstad, founder of JAMF Software and UW-Eau Claire graduate, shared his story on the morning of Nov. 5. The company currently has 7 offices, more than 450 employees and more than 5,500 customers worldwide. Halmstad, along with JAMF co-CEO Chip Pearson, was named 2014 EY “Entrepreneur of the Year” from the Upper Midwest. The 11th annual Elevator Pitch Olympics, which provided 90-second presentation opportunities for additional companies. A panel of experienced investors judged the pitches and offer feedback. More than a dozen panel discussions or educational seminars featuring leading entrepreneurs, investors and others tied to the tech sector. The 2nd annual “Excellence in Entrepreneurial Education” award presentation to Rock Mackie. A first-night reception, two luncheons, two breakfasts and other networking opportunities, including aninvestors-only dinner. The 2014 Wisconsin Early Stage Symposium was held Nov. 12-13 at the Monona Terrace Community & Convention Center in Madison. What is the Early Stage Symposium? This year’s conference, with a theme of “30X10,” celebrated a rich history that goes back to 1984. 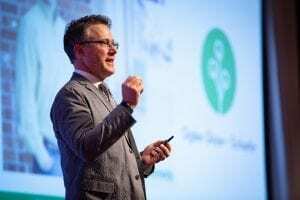 That year, Wisconsin’s first annual venture conference was held in Madison, pairing high-growth companies with investors and other business leaders from across the state. Originally the Madison Venture Fair, the event has been called the Wisconsin Venture Conference, the Wisconsin Life Sciences & Venture Conference – and for the past 10 years – the Wisconsin Early Stage Symposium. Nearly 500 companies have presented during the conferences in one format or another, including some of the largest technology companies that call Wisconsin home. What did the Early Stage Symposium include? More than 45 companies had the opportunity to make presentations and meet with investors, along with other entrepreneurs and business leaders. Many firms have cited participation in the conference as a key factor for significant business growth. Featured speakers included Kevin Conroy and Graham Lidgard, who shared the story of Exact Sciences, a Madison company developing a home colon cancer test kit. The conference also featured Francois Ortalo-Magne, dean of the Wisconsin School of Business. Plenary session on how research partnerships are driving innovation and economic growth with UW-Madison Chancellor Rebecca Blank, UW-Milwaukee Interim Chancellor Mark Mone and Jacqueline Fredrick, president and CEO of the BloodCenter of Wisconsin in Milwaukee. Presentations by 28 companies selected for the Wisconsin Angel Network investors’ track. Investors from across Wisconsin and beyond attended. 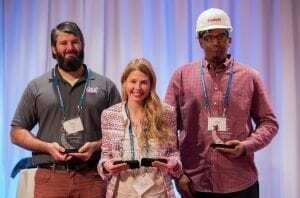 The 10th annual Elevator Pitch Olympics, which provided 90-second presentation opportunities for 18 additional companies. A panel of experienced investors judged the pitches and offered feedback. More than a dozen panel discussions or plenary sessions featuring leading entrepreneurs, investors and others tied to the tech sector. The inaugural “Excellence in Entrepreneurial Education” award presentation to Tim Keane. The 2013 Wisconsin Early Stage Symposium was held Nov. 5-6 at the Monona Terrace Community & Convention Center in Madison, Wis. The Early Stage Symposium is designed to unlock Wisconsin’s entrepreneurial potential by providing the right combination of ideas, innovation, intellectual property and investment – as well as hands-on instruction and advice targeted to early stage companies ready to make the leap. We had record attendance this year with more than 550 registrants over the two-day event. Attendees traveled to Madison from all over Wisconsin, the Midwest, and beyond. We introducedtwo new elements to the symposium – the “Office Hours” sessions and the “Reverse Elevator Pitch” panel – both earned rave reviews! Forty-four companies had the opportunity to present to investors during the WAN Tracks and the Elevator Pitch Olympics. Sixteen panel discussionscovered a wide variety of topics and engaged some of the region’s leading investors and entrepreneurs. Our featured speakers – Brad Feld and Mark Schmitz – filled the ballrooms to capacity and sparked some exciting conversations about reaching beyond conventional boundaries. View photos of presenters, exhibitors and speakers here. Read a comprehensive list of media coverage here. The 2012 Wisconsin Early Stage Symposium attracted 488 attendees over two days. Thanks to all who participated! Click on the “Post-conference materials” tab above for the attendee list, speaker presentations and photos. To read and watch all the coverage of the conference, including interviews with conference speakers, stories on the prospects for a state-leveraged early stage investment program, and columns and features on presenting companies, click on the “In the News” tab above. Click here to view the presentation by Larry Landweber, the keynote speaker on Nov. 13. Click here to view the presentation by Greg Milman, the featured speaker during the 2012 SBIR Awards Lunch on Nov. 14. Download a list of the 2012 attendees here.